The new tangible property regulations in effect for 2014 and later years mostly frustrate tax accountants and mostly confuse small businesses and real estate investors. 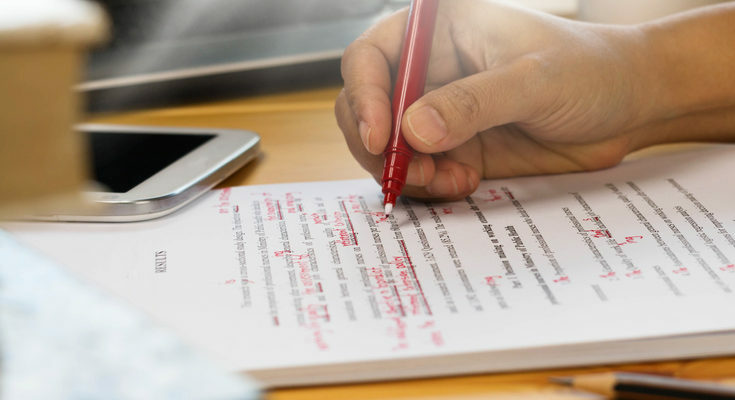 But in spite of this understandable frustration and confusion, the new regulations provide one noteworthy loophole that both tax accountants and taxpayers need and will want to understand: the partial disposition rules. Let me explain, just to bring everybody up to speed, what a partial disposition is and how it works. Say you have a real estate investment—a small office building—and you need to replace the roof. Prior to the new regulations, you needed to capitalize the new roof and then depreciate the new roof over the usual depreciable life. Nonresidential real estate gets depreciated over 39 years, for example, so you would depreciate a new roof for a small office building over 39 years. But there was a subtle weirdness embedded in this convention: Indirectly, you would have also been depreciating the costs of the old roof. The one that was, with the new roof on your building, mostly in a landfill somewhere. The new regulations give you the option to handle this differently. 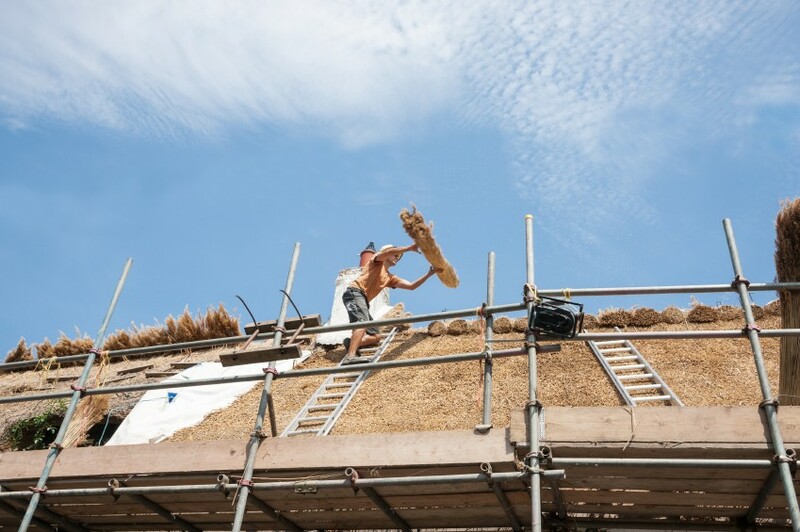 The new rules let you write-off or dispose of the undepreciated old roof. Let me provide a simple example of how this might work. Say the small office building we’re talking about here cost $390,000. That would mean that after exactly ten years of depreciation, the taxpayer would have depreciated $100,000 of this amount because $390,000 divided by 39 years equals $10,000 a year. If the roof needs to be replaced at that point, what the taxpayer can do is break the $390,000 of original cost and the $100,000 of accumulated depreciation into two smaller “sub-assets”: the roof and the building without the roof. And then the taxpayer can write off the remaining undepreciated portion of the roof. To keep the math very simple, suppose that the roof represents $39,000 of the original $390,000 or ten percent. That would mean that ten percent of the accumulated depreciation amounts to $10,000. And in this case, partial disposition treatment means the taxpayer shows on his or her tax return an asset that originally cost $39,000 and which had accumulated $10,000 of depreciation being disposed of for a $29,000 loss. You should know three more things about this, too. First, the regulations say you can use any reasonable method to break down the original asset cost into smaller subasset costs, including a cost study and a pro rata allocation. Second, the way you do this accounting on the tax return that shows the partial disposition is to “break apart” the original asset into two new smaller subassets or component assets. Using the example described here, the previous year’s tax return might show a $390,000 nonresidential property with $100,000 of accumulated depreciation. The current year’s tax return—the one on which the partial disposition appears—might show a $270,000 $351,000 building without roof which has $90,000 of accumulated depreciation and a $39,000 roof with $10,000 of accumulated depreciation. A third subtle but important point: Of course a taxpayer may benefit from accelerating deductions and writing off the remaining cost of the old roof. That’s good, sure. But the partial disposition also provides another benefit. Partial disposition treatment removes accumulated depreciation from the fixed assets schedule. Why is this important? Often accumulated depreciation gets recaptured when an asset is sold and then that recapture means some of the proceeds from a sale get taxed at higher marginal tax rates. In short then, partial disposition treatment requires a little bit of additional accounting. But partial disposition treatment accelerates deductions and probably saves income taxes because it reduces recaptured amounts. So here’s a weird thing: Partial disposition treatment has existed for a while. You were supposed to use partial disposition treatment if you experienced a casualty event where, for example, a windstorm ripped the roof off and then you had to replace the roof. Other situations existed, too, where you might conceivably use partial disposition treatment. But with the new regulations, you have two other new situations where you may want to use partial disposition accounting. Here’s the first situation—and it’s one I’ve already alluded to in earlier paragraphs: You can now elect to treat the replacement of something like an old roof as a partial disposition in the year the roof replacement occurs. You don’t have to do this. But you can. How do you do this? By breaking out the old roof’s original cost and accumulated depreciation in the matter I described earlier—and then showing the asset disposition on the current year’s tax return. Obviously, for any meaningful dollar amount, tax accountants and taxpayers want to do this. Sure, it’s a little bit of fiddling. But the partial disposition election saves money immediately and also down the road. The new regulations also give you the opportunity to catch up by retroactively accounting for any past partial dispositions. In other words, a current partial disposition lets you write off an old roof you replaced in 2014 on the 2014 tax return. But a late partial disposition lets you write off an old roof you replaced in, say, 2012, on the 2014 tax return. The accounting mechanics work the same for a late partial election. And you report the late partial disposition the same way on a tax return. But late partial dispositions come with three wrinkles. By the way, the Form 3115 reports on any accounting method change and then flags the catchup amount as a Sec. 481 adjustment. If the $390,000 office building example described earlier was reporting a late partial disposition, the $29,000 old roof write-off amount would be the Sec. 481 adjustment. Note: That $29,000 amount given above means in this example that the taxpayer has changed exactly 10 years of depreciation on the old roof. Second, a late partial disposition triggered by the new tangible property regulations needs to be made on the 2014 tax return (you can’t do these in future). 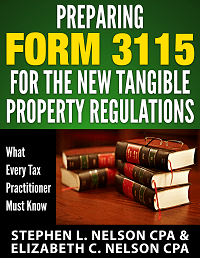 Third, if you do include a 3115 form to report the accounting method change the late partial disposition treatment represents, you also need to provide 3115 forms for any other accounting method changes triggered by the new tangible property regulations. And just to make this clear, the permission to cut corners on filing Form 3115s that the IRS gave by issuing Revenue Procedure 2015-20 doesn’t matter. Which maybe means we should talk a little bit about this revenue procedure. 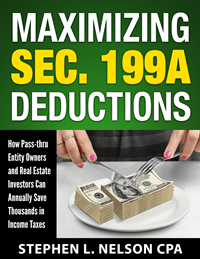 On February 13, 2015, the IRS issued a revenue procedure (see here for my discussion of this: Revenue Procedure 2015-20 a Face Punch for Tax Accountants) that says small businesses and small real estate investors don’t need to file 3115 forms to report on accounting method changes triggered by the new regulations. As I’ve pointed out elsewhere, the new revenue procedure doesn’t let someone who wants to make a late partial disposition election skip the form 3115 for the late partial disposition. You need to prepare a form 3115 for a late partial disposition triggers because of the Sec. 481 adjustment. Then, because you are including a form 3115 for the late partial disposition, you are now out from under the “protection” of the revenue procedure and need to file the other 3115 forms the new regulations require. If you decide to do a late partial disposition and also need help preparing the other 3115 forms required, you may also interested in our ebook on the subject. 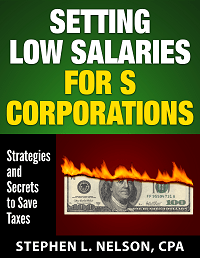 This short (70pp) downloadable e-book explains how the new regulations change the way small taxpayers need to do their accounting for tangible property deductions, outlines an approach to complying with new regulations with a minimum amount of fuss and handwringing, and supplies a sample accounting policy which should help a small taxpayer stay in compliance in the future. And an important note: We’re providing a money-back guarantee… if you don’t find our e-book saves you several hours of time, just email us and ask for a refund. Thank You so much for clearing this topic. I have been looking forward to this post since promised earlier and you are once again very clear in explaining the actions we need to take and consider. I love the real life examples. I feel better about the rest of tax season. I share the sentiments from another comment section in your blog about the overwhelming feeling dealing with tax practice this year with this to wrap our heads around. You have been a great resource. On a funny note, I had called research dept about 10 days ago on this topic and they had just gotten your e book… before she finished saying the title, I piped in and told her the name of the book… I had already purchased it. My first print out is quite worn already. Are you considering creating an E-book with Accounting Policies based on all of these new regs that the Small business Owner that don’t have to but based on your counsel should have? I would like to very much encourage you!! Gosh, I really think this is what CPAs and EAs need to help their clients with. 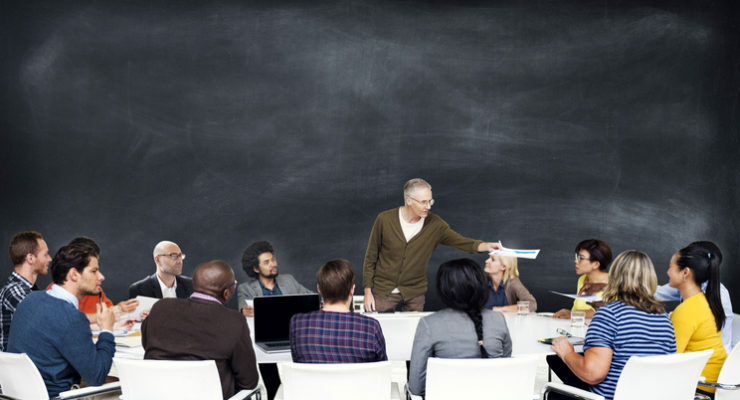 I.e., we professionals need to take the regs and then paraphrase them into language our business owner and real estate investor clients can understand… and then we need to collaborate with clients to help them apply and use the new rules.. I don’t know why you’d know this about me, but my best-selling book ever was about Quicken (Quicken for Dummies)… and I will admit here than when a friend first suggested I write about Quicken and I thought it was just the craziest idea ever. I am excited to know you may consider this. I suggested it based on readings from your other helpful e books. You offer great templates to get us started such as with Form 3115. I am planning to discuss the account changes with my clients (and will wonder why I had no time this tax season to breathe) and a template to have a place to begin would be very helpful. You offer great examples so I am sure you will will do the same again and we (all smart enough to grab your new e book) will have a good head start. Thanks Steve for your ebook on the TPR regs. One of my partners purchased it before the IRS changed the rules on 2/13/15. In your example posted 2/17 for partial distributions you started with a building costing 390,000 and take off a roof for 39,000. Yet you latter show a building cost of 270,000. Is this 81,000 an addition mistake? or did you mean there are other systems being broken out? The IRS is requesting input on the TPR according to the latest rev proc. Could you provide an example for all of us to use or go by that includes all the issues? Ugh. Regarding the $270K, that is a mistake. Writing too fast. Sorry. Now fixed I think. As far as providing input to the IRS, I don’t have anything all that useful to say… except maybe “don’t change the rules mid-game…” Oh, and “Let’s try to be more thoughtful about the rules we put into place in the first place…” Might be good to send that message to our elected legislators, too. Steve – you’ve done a great job and great service with your e-book and blog. Both have been a great help to us. One point in advising clients on taking partial disposition losses is to keep in mind a client’s long term expected tax rates versus current tax rates. Taking a disposition loss when client is in 15% bracket may not be as valuable as hanging on to the basis to reduce the gain on sale in a 20%+ tax bracket year, or taking additional depreciation deductions in 39.6%+ marginal rate years. BTW… I do have my starter letter to open up conversation ready for my clients. I am not sure how to totally word the policies for so many different situations. 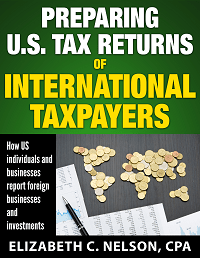 Steve, I purchased your e-book and it was very helpful to our firm in implementing the TPRs. Thank you! I have a question on partial asset dispositions. The partial asset disposition accounting change 196 is for partial dispositions of MACRS assets. Is there any similar treatment for pre-1986 assets? We have a number of clients with pre-1986 buildings where we would like to do a partial asset disposition if possible to eliminate unrecaptured section 1250 – is this possible? Yes, sorry, you would 205 or 206. I read section 6.38 of Rev Proc 2014-54 regarding the 205 change. 6.38(b)(1) says “this change does not apply to ….any asset that is not depreciated under section 168 under the taxpayer’s present method of accounting”. So would this mean we could use the 205 accounting method change for assets depreciated under ACRS but not for anything placed in service before 1981 since these would have been depreciated under section 167? If that’s true, we would use 205 for ACRS assets and 196 for MACRS partial dispositions? And there would be no partial disposition allowed for pre-1981 buildings? Hi Sue, I missed this comment when you first posted. Sorry. I will try to check into and think about this. But because with the looming corporate tax return deadline we are swamped (as you all are) it’ll probably be a few days before I can come up with a good well-thought-out answer. If a client wants to use the Partial Disposition method in a future year, are they required to make an election on the 2014 tax return, or is that election made in the actual year of disposition? Could the IRS have made this any less clear? First question, no, you can make a partial disposition election in a future year without doing anything special this year… this year is the year you make a late partial disposition election for past years, however. Second, no, I don’t the IRS could have made this less clear. They did an excellent job of confusing pretty much everybody. The mid-season change in the rules (Rev. Proc. 2015-20) was an essentially nice touch. Looking at DCN # 21 on removal costs, and tracing it back to its genesis in Rev Rlg 2000-7 ( the telephone pole retirement one ). the latter says ” Analysis does not apply to removal costs of ‘component’ of depreciable asset… ” It seems to be saying removal costs of a whole depreciable asset could be deducted when a replacement depreciable asset is installed. 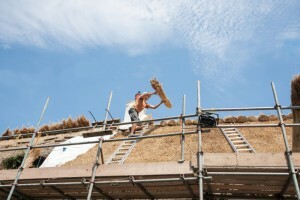 So, pardon the pun, but would this blow the roof off a position that one could deduct costs of old roof removal in connection with a partial asset disposition/new roof installation ? The property replaced has to be the same class life as the new property. So if real property with a life of 39 years is replaced with qualified lease improvement with a 15 year life, then looks like no partial disposition is available. Do you agree? I don’t know how you would do that. Sorry. For one thing, you can’t do qualified leasehold improvements to your own property, right? And if you’re talking about situation where, say, you’re a tenant with 39 year TIs… and then you replace the TIs, gosh, that doesn’t seem like a partial disposition. That aeems like a total disposition. Form 3115 was not filed with the 2014 tax return. Now the wish is to file the 3115 tax return LATE. Is this at all possible? Perhaps with an amended 2014 return. Or, was this a lost opportunity? Also, (this is slightly off topic) others who have filed their 2014 returns wish now to use the Safe Harbor for small taxpayers or the de minimis Safe Harbor. Is it possible to do this after the 2014 return has been filed. Their forms were completed very early in late 2014. Or, have they lost that option? The 3115 form is used for all accounting method changes, so it’s pretty much impossible to give a precise answer to such as general question. HOWEVER, that said, typically you get automatic consent to an accounting method change when filing a timely (including an extended) return. I have not thought a bunch about this, but I would think trying to do any of this stuff without automatic consent amounts to a “deal breaker”. Great article. Very helpful. One question – if the partial disposition treatment should have occurred upon experiencing a casualty event (I.e. Windstorm damage to a roof in 2010 followed by total replacement of roof), are you able to elect a late partial disposition of the damage roof on the 2014 return or are you unable to do so since the disposal should have occurred in 2010? Thx! I think can do a late partial disposition on the 2014 tax return. (1) A late (prior to 2014) partial asset disposition is reported as a Section 481(a) adjustment via From 3115. (2) A current year partial asset disposition is shown on Form 4797, as a Section 1231 loss with proceeds of zero. Also, for the current year PAD, is Form 3315 required? Is an election required? I have been reporting the late filing partial disposition on all my Rental Real Estate clients on the Form 4797 as a 1231 Loss and also Filing the Form 3115. Is that not correct? Should this be an Ordinary Deduction instead? You report the disposition in the same way you would have in past reported it… And the gain or loss has whatever character it would have had in any “normal,” pre TPR situation. But you want to file the 3115 to show that you’re doing a late partial disposition. I have several 1040 clients with multiple Schedule E rental home or commercial properties , none held in single-member LLCs, most placed in service before 2013. A few of these clients also have Sch C businesses. I was looking at February threads on your blog and gathering that such individuals would file one 3115 per DCN that would cover all rentals and business activities in the return, i.e., each property doesn’t need a separate 3115 for each DCN as the acctg method change is deemed made at the taxpayer level. If this seems good practice, I suppose I would need to modify the explanation of client’s business to include all these activities ( E as well as C ). Also, I would keep the ” no changes in identification of units of property “, as each rental bldg., computer, etc is its own UOP. I am generally going the route of 184,186 and 192 in almost all 1040s with Schedules C, E and F. Do I need to list the rental UOPs separately anywhere in the 3115 supporting schedules, as is required when one does the small taxpayer safe harbor election for repairs ? Additional question: does use of routine maintenance safe harbor require a positive election in the return ? Ultra-Tax does not have this in its standard elections, although it does have the de minimis and small taxpayer elections in the standard group. We have taken to often including a detailed statement linked to the R & M line item in returns breaking down a big R & M number between those things done on a repetitive basis throughout the year ( groundskeeping, for example ) and anything which would qualify under RMSH, occurring more than once in the ADS class life of the asset. Practicing a little defensively to get treatments on record in our file and client copy, at least. Thanks for keeping this going ! Very helpful. I see inquiries are picking up again. 1. Any accounting method change a client makes requires a 3115 but obviously Rev Proc 2015-20 (discussed here) gives most small taxpayers a pass in most situations. 2. This should mean, it seems to me, that you need only a few 3115s (if you need any at all) not for example a pile of them for each property or each Schedule C.
Finally, general comment: I think you do want to be defensive and try as best you can to comply… and then not worry too much. This whole thing has been a total goat rodeo from start to finish. Practice point: Is it still advisable to send in separate 3115s for each DCN ? Earlier you were indicating that Lacerte software was limiting prep to one change per 3115. Have you run across any IRS blowback on submitting this way ? We have been following one change per 3115 using Ultra Tax, which will allow you to make concurrent changes on one 3115, for certain DCNs. Practice-wise, we find it easier to prep one per 3115 because the supporting schedules are much easier to read, and it is easier to explain to the client. I have seen an illustration of the concurrent change reporting in PPC’s Tax Action Memo TAM-1718 dated 3/10/15 and the supporting schedules are daunting. If you do not have this practice aid and would like a copy, email me the email address you want the attachment to be sent to. Oh-oh, I don’t think we meant to say that separate 3115s are advisable. That was just the way we ended up doing them due to the mechanics of using Lacerte early in the season. And then as you’ve found, the one per 3115 seemed clean, easier to explain, etc. For the record, we have not had any blowback on this approach (which of course nearly ended on February 13)… although have had a couple of rather complete packets of 3115s we did after that 2/13 date because people were forced to change to accrual accounting, had Sec. 481 adjustments etc… but no blowback with this approach (yet). The sample on Partial Disposition in your article, you designate 39000 is the cost of the roof out of the building that with a basis of 390000. What is the designation based on? I have some sample from a seminar, determining the cost of the old (replaced roof) by discounting the cost of the new roof using the Producer Price Index for final Demand. Can you discuss on that? Is there any other guidance how to determine the cost of the replaced roof? Your blog is wonderful. It is very helpful. Thank you. Purty. I arbitrarily broke the total cost into those two chunks… so don’t read anymore into that breakdown. You should probably use the method you describe (based on producer price index)… that makes sense. You might also want to (with an actual taxpayer’s partial disposition in front of you) read the few paragraphs of regs on matter. I think that should (hopefully) clear up your questions. I am working on a 2014 return for a fiscal year taxpayer (ended 9/30/15). They own a building that was placed in service in 1996. In 2009, the taxpayer replaced their roof and the old roof was not disposed of. Can a late partial disposition election/Form 3115 be done with the 2014 return to dispose of the roof? I want to make sure that the late partial disposition election applies to additions/disposals in 2009. I think you probably can. In fact, your situation sounds almost like a textbook example of when a late partial disposition treatment should occur. So thankful I found this website. I am an individual and do my own taxes using H&R Block software. The software does not guide me on how to do a partial disposition. I called several tax offices and nobody seems to know about the new regulations and/or what IRS forms to fill out to accomplish the task. I even called the IRS….not a clue. I had to replace the outdoor AC unit ($2,500) and line set ($995) in 2014. I filed an extension and am currently trying to complete the 2014 taxes. 1- Retire the original AC as a disposition….. what Form? 4797? Somewhere it said I had to depreciate new AC for 27.5 years? Is that correct? Most of the people I called said they just kept depreciating the old AC and depreciated the new AC for 10 years. I just want to make sure what forms to use to do this. You probably can’t do a partial disposition with consumer tax software… sorry. It’s the wrong tool for the job. I’d think you either want to forgo the partial disposition treatment (thereby paying more tax in long run for sure)… or find a local practitioner who can handle the return for you. I was just going to fill out the forms myself…not use the software. The problem is that all the tax people I have contacted are unaware of the new regs. I actually called the IRS and they have never heard of it. Seriously! I was just wanting to make sure I used the correct forms. Can you recommend someone I can call? If you call our CPA firm offices and let us know where you’re located, we may be able to give you a name. Rental activity by definition is passive. If we do a partial disposition of say a retired roof, the loss upon the sale of the retired roof would be suspended until such time that there is total disposition of the original asset. To get a 1231 loss to flow thru to the tax return requires us to claim a total disposition of the retired asset. Is this correct? Is the loss intended to be taken as a sec 1231 loss or should it be suspended until there is total disposition? I have looked for a code reference to allow this treatment, but don’t find anything. I think your general understanding is correct. I.e., yes, the partial disposition rules may get you an addition loss deduction but if the passive loss limitation rules apply, you or your client may get no immediate benefit from the loss created by the partial disposition. One other thing to keep in mind, though, is that when you do a partial disposition, you probably also remove accumulated depreciation from the property’s fixed assets schedule… so there should often be a reduction in the amount of recaptured depreciation or unrecaptured Sec. 1250 gain on the disposition of the property. E.g., you have a $20K roof which has been “half” depreciated. If you dispose of the roof, you get to “Write off” the remaining $10K… (suspended probably) AND you also remove $10K of depreciation.